Affordable Maui Weddings has been in business since 1998. Our passion and desire is to provide the best possible Maui wedding destination experience for you and what’s what compels us to provide the most excellent service. You can entrusts us with your special day! We would love to help you create your own memories through the Affordable packages that we can offer. 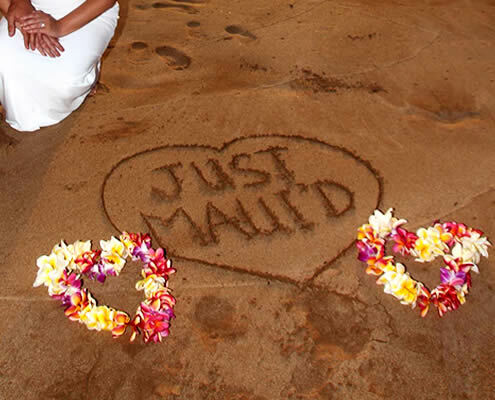 Affordable Maui Weddings specializes in “Simple” Maui destination beach weddings. We are a member of the BBB, Maui Wedding Association, the Maui Wedding Network, the Hawaiian Visitors and the Convention Bureau. Because “Great Service” is what we are all about, we’ll work hard to make each wedding, truly a memorable Maui romantic experience to be remembered for a lifetime! 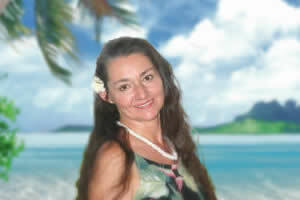 Aloha, I’m Susan Craft and I have been with Affordable Maui Weddings since the start in 1998. So I have years of expert experience in planning every detail of our Maui destination weddings and vow renewals. I know and loves Maui, so you can depend on me to plan your beautiful Maui wedding. I can also available arrange your travel, accommodations and activities. I will be the one you will speak with when you call to reserve your special day. 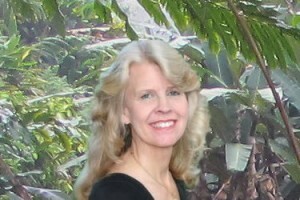 Aloha I‘m Linda Simon and I will be on-site to coordinate every aspect of your magical Maui wedding day. I will also photograph your Maui destination wedding. I will capture all the joy, laughter and those tender romance moments of your wedding. I’m looking forward to meeting and serving you on your special day. At Affordable Maui Weddings, we provide Hawaiian Wedding Ceremonies. But if you prefer a denomination minister we can provide that also. Each of our Officiant create a special connection with our Bride and Grooms as they demonstrates “That Aloha Spirit Feeling” as if they customized a wedding ceremony just for you. Our Officiants or Ministers will set you at ease with the Aloha Spirit that Hawaii is known for! Visit our Ceremonies page to review the Ceremony. Also, think about writing down your own vows with those special words and feelings you have for each other, in addition to the ceremony. Hawaiian Wedding Vow Renewal Ceremony. Also, think about writing down your own vows sharing how you are “Best Together”, in addition to the ceremony. We have put together a team of great ministers, musicians, florists, photographers, videographers, limo companies, caterers who we use on a regular basis. We have chosen them because of their experience and their ability to produce the excellent results that our couples deserve and expect. We know you’ll be satisfied. We love what we do and you will never be just a name on our schedule! We think you’ll appreciate the difference in our positive attitude! From the first time you call us, all the way through your Maui destination beach wedding experience. We look forward to hearing from you soon. Contact us to book your wedding date, or to ask a question.